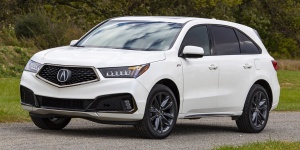 For 2019, the Acura MDX adds an A-Spec sport appearance package that features a unique front fascia, side sills, and 20-inch wheels. Acura's Active Damper System (ADS) is now available with the Advance package. Get the best price for the Acura MDX of your choice from a dealer in your area. Request a price quote now.